Anyone who has ever worked in TM1, specifically a TurboIntegrator (TI) process, knows that trying to diagnose issues with a data loading process can be problematic. It is hard to know if the issue lies in the underlying data, or if there is something is wrong with the coding in the TI process. Many of us developers have created our own manual solution of using the “ASCIIOUTPUT” function to export the data to a flat file, which allows the opportunity to examine the underlying data and think through how each record will be handled. Those days might be coming to an end…IBM recently released within their latest fix pack release (10.2.2 Fix Pack 7) a new tool which allows TM1 developers to now debug their TurboIntegrator (TI) processes. The TurboIntegrator Debugger tool now allows a user to set breakpoints and step through TI process to identify possible issues and errors in TI scripts. Download the latest Turbo Debugger files from here. Turbo Debugger files do not need to be in the same location as TM1 Data folder, but should be in a folder path which is quickly referenced. Run the TurboDebugger.bat file to use the default SSL certificates. If you are using your own certificates, you will need to edit the .bat file to use the appropriate ones. After running the TurboDebugger.bat file, the TI Debugger will automatically start. Update the generated TI Debugger URL localhost:HTTPportnumber. If the tm1s.cfg file says SSL = T, the http has to be changed to https. CAM Namespace: If not automatically populated, go to perspectives/architect and copy the namespace (circled part, see screen shot example below). 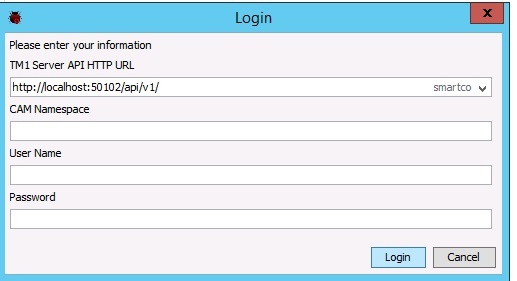 If CAM Namespace has been greyed out, click on Login WITHOUT entering a UserID and password. An error will appear, but will be fixed upon next login. A properties file is generated after the first run of the TI Debugger. The TurboIntegrator Debugger tool is a long awaited tool by TM1 developers. The tool allows developers to step through and debug their processes by line instead guessing which line(s) of code is the troublemaker. The tool is more realtime debugging than previous work arounds using ASCIIOutput or ProcessQuit functions. No more character per line limits, casting numbers to strings or managing multiple output files. The values of the variables are visible as the process steps through the code. 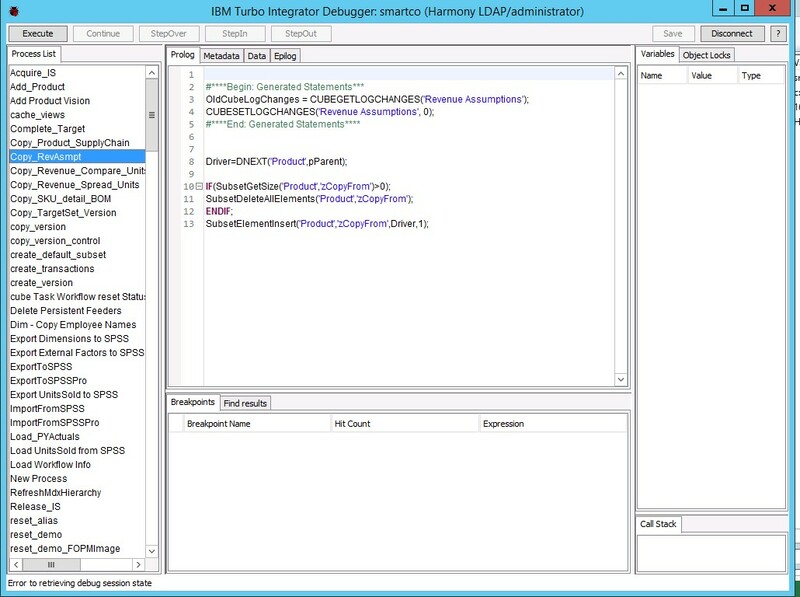 The TurboIntegrator Debugger tool is supported on TM1 10.2.2 Fix Pack 7 and Planning Analytics Local. Jon has been a part of the Oracle team at eCapital Advisors since 2009 and is passionate about educating and teaching clients and team members how to apply the technology to drive business value within organizations. An Oracle Certified Expert in both Hyperion Planning and Essbase, Jon oversees the technical aspects of EPM project delivery and managed services. In addition, he’s responsible for ensuring the continued growth of the practice’s technical capabilities and serves as the primary interface between eCapital and the Oracle user community.